George J. Chambers, the author of this book, served twenty years in the US Navy, retiring as a Senior Chief Firecontrolman in 1970. During his naval career, he served aboard five destroyer type ships and a destroyer tender. 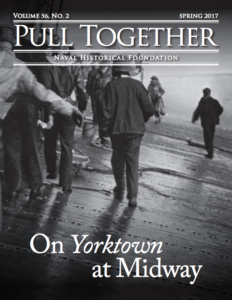 He is the author of three books, one about his naval service and two on the histories of ships on which he served. 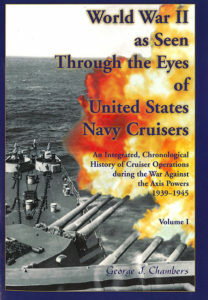 World War II As Seen Through the Eyes of United States Navy Cruisers, was published in two paperback volumes, covers over 990 pages and is priced at $70.00. Subtitled An Integrated, Chronological History of Cruiser Operations during the War Against the Axis Powers 1939-1945, it details the roles played by the eighty-two heavy and light cruisers and two battlecruisers of the U.S. Navy in World War II. These ships saw action in both the Pacific and Atlantic- European theaters of operations and fought in all but two American major sea engagements. Combat claimed seven heavy and three light cruisers, and twenty-three other heavy and thirty-three other light cruisers were damaged. In the preface, the author states that his book “is not a “scholarly work” in the sense that ‘facts’ are not always cited or referenced. Changes to original accounts recorded at the time, or shortly after that, of events described are kept to a minimum. The author divided the book into six main chapters, the first covering the period from World War I to the 7th of December 1941. The second covered the immediate period after Pearl Harbor, with the last four chapter each covering a year from 1942 through 1945. I believe the fifty-page first chapter which covered the twenty-year period from the end of World War I to Pearl Harbor is of marginal value. While it briefly discussed ‘factors’ that ‘had a major influence on cruisers and their crews in coming years,’ it does not spell out what the effects were. The chapter included among the factors listed, the U.S. society, the federal budget and Japan’s mandated Pacific islands; but not the Washington and London Naval Conferences, which had significant and direct impact on cruiser design and capabilities. This chapter also contains forty-three pages of details of routine ship deployments and visits as well all command changes in the cruiser force from 1923 to 1941. The narrative in the next five chapters comprises about 90% of the text. These chapters integrate day-by-day cruiser actions with those of other ship types. Each chapter has six operational theaters. The operational theaters are: Atlantic/European, Mediterranean, Aleutians, Netherland East Indies/Solomon Islands, Pacific, and South East Pacific. Since each operational theater is organized chronologically, the result is twenty-five separate sub-chapters which follow each other sequentially. (Five sub-chapters are not included because of a lack of activity in a particular year). This format makes for a somewhat jumbled narrative and impacts continuity adversely. Treatment of primary battles is satisfactory, but the minute-to-minute focus and the integration of ships other than cruisers in the narrative sometimes result in having too much information to process. This majority of the sources cited in the narrative are individual cruiser action reports, war diaries, command histories, and deck logs. For the most part, those documents provided the author sufficient information to develop the combat scenarios that are the heart of the book. Unfortunately, they also contain numerous administrative items and extraneous details of minor or routine events not germane to the combat narrative; many of which are inserted into the text by the author. Examples include changes in cruiser command, ship movements of no combat relevance, the sighting of floating mines, visits of VIPs and media personalities, and shipboard drills. Also, I think there is excessive coverage of task organization assignments and changes, which slows the narrative and adds little value. I found numerous inconsistencies and omissions in these listings. Problems are exacerbated by a confusing system of indicating dates in the text. In the chronological narratives, the month is identified only once, and this is done only at the first entry for that month. Also, since the date is not entered at the top of each page when a particular entry is found, the reader must scroll through preceding paragraphs to determine the month of that entry. Further, dates are not used in the Table of Contents, but rather a particular battle or campaign. The result is that many minor events having nothing to do with that battle or campaign are included in that section. As for the bibliography, it appears adequate. However, there are some other archival collections, government and military collections, and books that could have been of considerable value to the author, both in providing information and identifying additional sources worthy of examination. Since the book’s coverage of Houston’s involvement in the Java Sea and Sunda Strait battles is rather limited and based on secondary sources only, I believe James D. Hornfischer’s classic Ship of Ghosts: the Story of the USS Houston, not included in the bibliography, could have helped considerably on both accounts. However, if the desire is not to revise or update the narrative, I can understand why retroactive revision or update may not be sought. Regarding the notes, they are relatively few considering the size of the narrative and few of these add significant information or insight. In those instances, mostly in the 1944-1945 chapters where extensive excerpts from action reports or war diaries are quoted, the particular report is not identified, and therefore it cannot be located and checked by future researchers. Where a source is unidentified but also not an action report or war diary, I believe it most likely to be either Robert J. Cressman’s “The Official Chronology of the U.S. Navy in World War II” or one of the eight-volume “Dictionary of American Fighting Ships” published by the Naval History Division. The index was designed to list every page that mentions a specific ship, person, or operational unit. Here too, I found errors and omissions. Finally, the absence of maps showing locations mentioned in the text and charts of ship tracks during major battles is a shortcoming that severely degrades the narrative. In summary, both Mr. 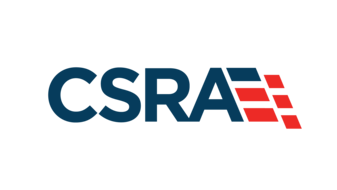 Chambers and his wife, who spent countless hours at the National Archives and Records Administration (NARA) at College Park MD, worked very hard to extract the raw data and compile it into a readable and coherent narrative. They are to be commended for their efforts. However, in my mind, the book has some deficiencies. There are major problems with the format and organization of the book, much irrelevant or extraneous material, some errors and omissions in the text and index, is in need of a good editor, and the cost is too high for the general reader or naval buff. Finally, I am not convinced that a book focusing on cruisers is an appropriate place one to describe major fleet actions involving significant numbers of other type ships. Captain Portnoy retired from the U.S. Navy after thirty years of service, He commanded a diesel submarine and served in two other subs, a battleship, an aircraft carrier, and a destroyer. Ashore he filled intelligence and politico-military billets. After retirement, he worked for several defense contractors in the Washington D.C. area.